Whether you’ve lusted after one of Kinesis’ highly regarded Titanium Tripster ATRs but never quite made the leap into purchasing one, or you’ve joined the ranks of the #MyKinesis builders on the long running Singletrack Forum thread, you’ll know the appeal of this multipurpose bike. This will be ours to test! Bring it! It’s exciting news today then, as Kinesis is launching the Tripster AT, an alloy version of the the Tripster ATR. This is no second fiddle however, and it promises to be a great bike in its own right. We’re getting our own test bike next week, so check in for a closer look then. 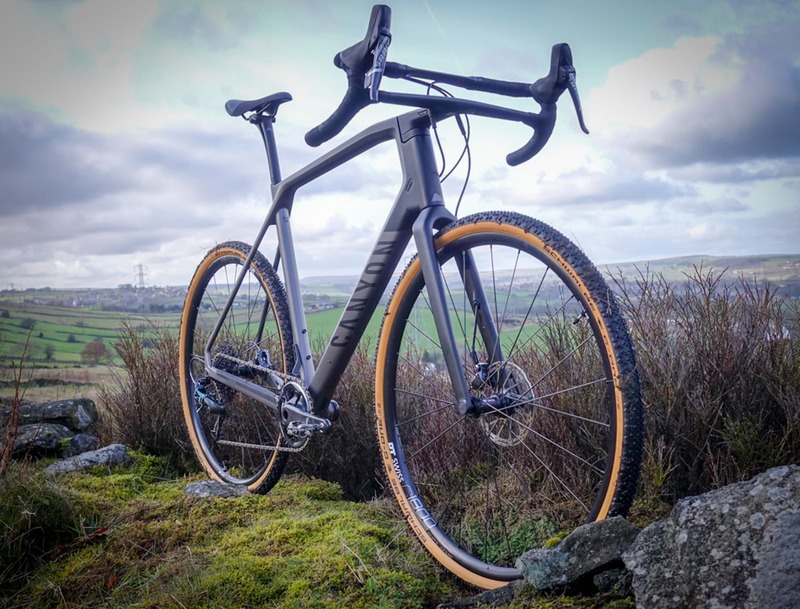 For now, here is our actual test bike – we can’t have it yet as it’s going to the Adventure Cycle Festival in Cumbria first, so maybe you’ll get to see it before we do! Built for many kinds of fun. Sharing much of the geometry of the Tripster ATRv0.2, but designed with even more tyre clearance, the Tripster AT will take 700 x 45c or 650b x 52c tyres comfortably. To our minds this keeps tyres just out of the ‘mountain bike’ tyre ranges…but no doubt we’ll be having a go to see what we can squeeze in there. A VEE Rail perhaps? Something in a 2.1in with very small knobbles? With the ever growing tyre market, the clearance offered should give you all the choice you could want. Indeed, could it be all the choice you’ll ever need? Plenty of room for bottles. Taken from a tree, drone, or bridge? “real world” threaded BSA bottom bracket shell (mechanics of the world rejoice!). Seeon Yellow. Or should that be SEEON YELLOW! 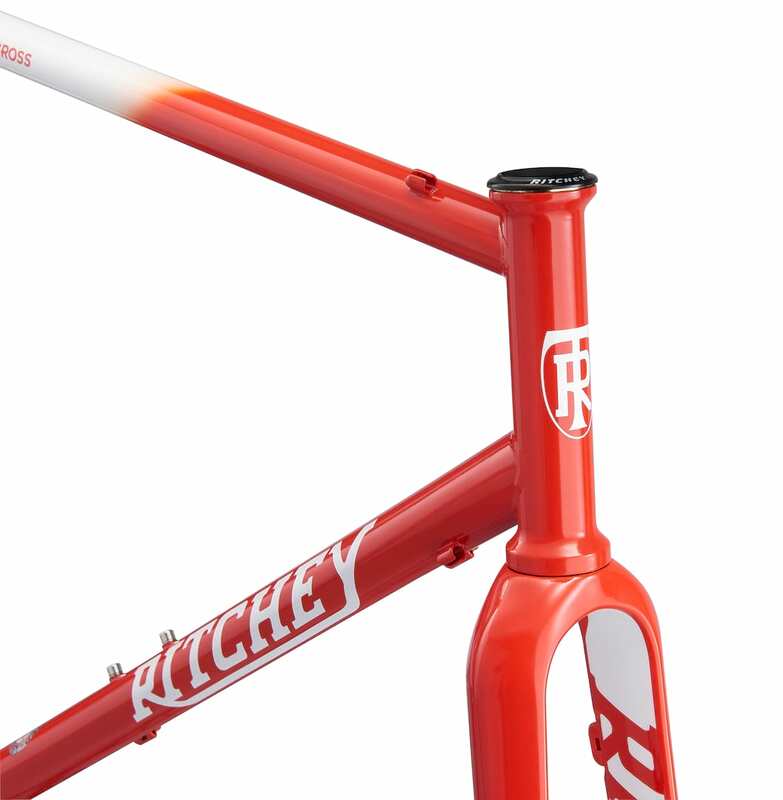 During the Tripster AT’s development, Kinesis UK stated working with the late Mike Hall and this frame was the starting point for what was to become a more involved relationship working on his own bike design ideas. Mike brought some of his bike packing knowledge to the Tripster AT and most noticeably he designed all the graphical details in close consultation with Kinesis UK’s in-house designer Matt Gray (Could there be a better name for a designer?!). Design detailing by Mike Hall. The frameset is offered in two new colours: ‘Arran Blue’ inspired by the bluey-grey light of wide open spaces found in the Highlands of Scotland, in-particular the Island of Arran; and ‘Seeon Yellow’, an unashamed ‘shouty’ frame of neon yellow that will get you seen in any light. Built to play out, or carry everything. Integrated tapered headset, seat clamp. Kinesis UK’s Crosslight CX Disc.v4 wheels. For full details of the bikes and build kits, hop on over to Upgrade Bikes. Are you tempted? Will you be joining the ranks on the Singletrack Forum with your own bespoke build, or going for the off the shelf package? We’re looking forward to taking delivery of our test bike. Mike Hall talked about ‘extending your map’ and this bike looks like it might just let us do that. We promise to stay in the office long enough to tell you about it!